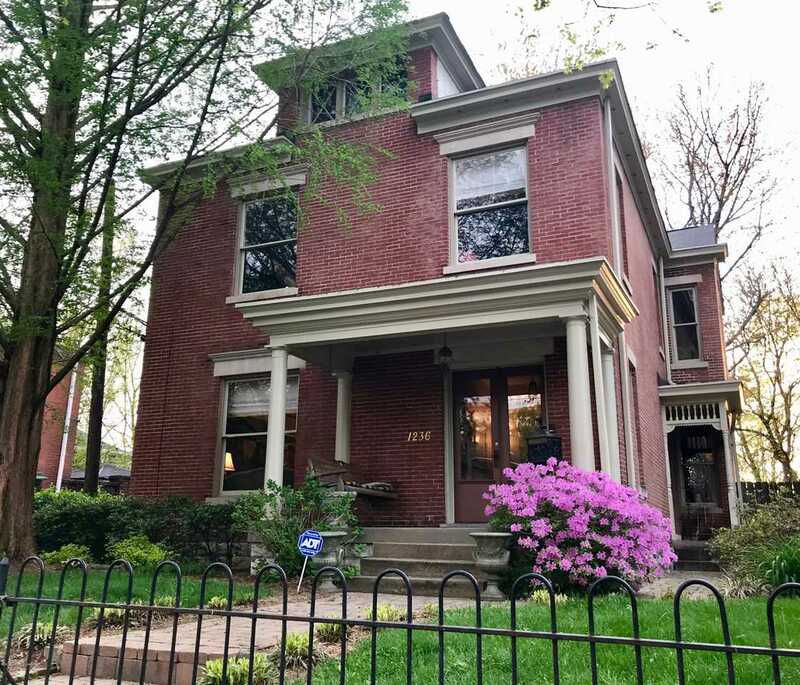 Welcome home to this beautifully renovated, Circa 1900, 2 1/2 story stately home in the heart of Historic Old Louisville. Originally renovated by an architect and lovingly updated by its current owners, you will be proud to call this your home! Greet your guests on the front porch through the double glass paned entry doors into the large welcoming entry foyer. To the left is the formal living room and behind the foyer is the formal dining room. Gorgeous yellow heart of pine flooring and natural pine trim work is sure to please. The updated gourmet kitchen offers a large center island, exposed brick accent walls and opens to the rear sun room. You will love the sparkling new granite counter tops, the glistening new glass tile backsplash, custom lighting and all the stainless appliances you could dream of including a SubZero refrigerator freezer with separate SubZero double refrigeration drawers for added storage, gas range, electric oven, microwave and dishwasher. The laundry is located on one end of the enclosed rear porch. A guest powder room is neatly tucked off the hallway along with double door closet. This exciting floor plan includes a majestic 3 story sweeping staircase in the middle of the home. Upstairs you will find the spectacular master suite with bedroom, dressing area, closets galore, jetted tub and separate 2-person shower with dual heads and a Juliet balcony overlooking the rear yard. There are 2 additional bedrooms on this level along with another full bath with ceramic tub/shower surround. Up the staircase to the 3rd floor which offers angular walls, a skylight and lots of space for use as an additional bedroom, office, etc. Four original fireplace mantels, original picture railing throughout, reconditioned plaster and custom lighting are sure to please. Dual HVAC systems insure comfort on all 3 floors year-round, 80-gallon water heater insures no cold showers along with an average LG&E bill of just $257 per month. Almost forgot about the lovely wrought iron fencing across the front and the privacy fenced rear yard along with a 2.5 car garage with small workshop. This one has it all and is move-in ready with quick occupancy. Directions:West on St. Catheine St. and south (left) on 6th St.
SchoolsClick map icons below to view information for schools near 1236 S 6Th St Louisville, KY 40203.